A white smile is the best thing that you can give to yourself. It is simple and attainable. You can brighten your pearly whites in as early as an hour! Although it may involve a certain amount of money, the results are commendable. We are talking about professional teeth whitening. Here at Allen Dentistry, you can instantly whiten your teeth using our Zoom! Whitening System. It is a brand of teeth whitening that impressively lightens the teeth for up to eight times in just one sitting. You already heard about Zoom! because it is quite famous not just here in America but in other countries as well. This brand had been transforming patients’ smiles for several years now. The procedure is simple, fast, and effective, that is why more and more people find it favorable among the other whitening alternatives. The hydrogen peroxide present in the bleaching gel of Zoom! is sufficient enough to give patients the shades that they desire. The system uses a unique chairside lamp which makes the activation process impressively fast. It also comes with take-home trays for those who do not like the idea of going to the dental office to whiten their teeth. Zoom! 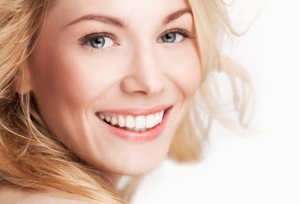 Teeth Whitening is everyone’s go-to treatment. But aside from undergoing the procedure, people can try many other ways to keep their smile as white as it is. These practices are simple yet very essential. Consider a pre-rinse before brushing your teeth. Doing so will allow food debris to loosen up which in turn makes your cleaning routine an easy task. You have heard this many times: brush your teeth twice daily. This standard routine is necessary when it comes to mending the dull look of your teeth. Be sure to brush two times a day using a soft-bristled toothbrush. You can also try an electric-powered tool for a more thorough clean. It is necessary to rinse after brushing too! Mouthwashes will help eliminate the leftover particles in the mouth that a toothbrush fails to remove. Pair your Zoom! Teeth Whitening treatment with these tips and you will surely embrace long years of a beautiful, bright smile! Give your smile a boost! Book an appointment with Allen Dentistry and check out our services under Teeth Whitening in Allen, TX. We are located at 551 W. McDermott Dr. Allen TX 75013.